Lifestyle of the Unexpected | You Can Shake the Gates! Lifestyle of the Unexpected – You Can Shake the Gates! 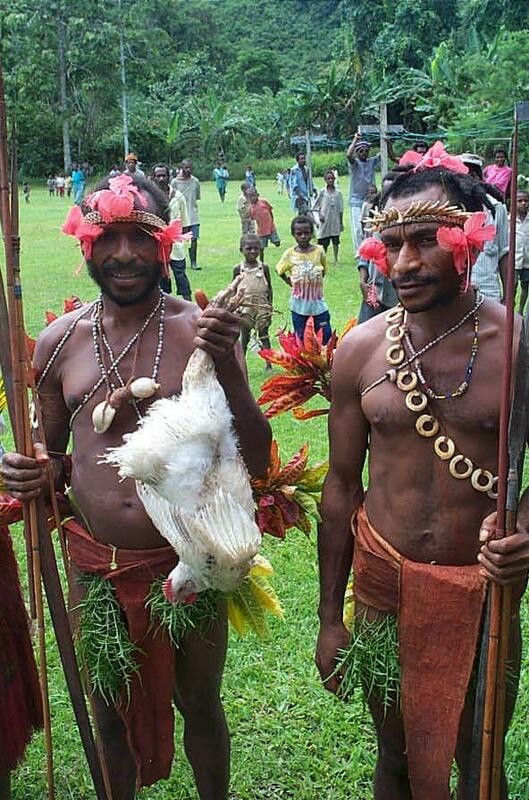 Two slender Melanesian men stand side by side, one holding a chicken. They wear traditional clothes, heads decorated with dog’s teeth and hibiscus blooms. They live on the side of a mountain in Papua New Guinea, speak a language few have ever heard of, and extend incredible hospitality, Melanesian-style, to those who come to visit. As with many other pictures like this one, it could be captioned: Papua New Guinea, Land of the Unexpected. Seven years ago when we boarded the flight home to furlough, to endless church dinners, thousands of miles on the road, we had little intention of remaining in the U.S. beyond the months allotted for visiting churches and friends and taking care of the usual stuff–doctor visits, dentists offices, a few weeks for vacation, a little support raising. Then . . . the unexpected. We did not return. We moved to Iowa and got involved in local church ministry for a few years. We moved to Florida and worked on the home-side of missions, providing administration for missionary care and crisis management. Month to month and year to year God, in his abounding love and plan for our lives continued to nudge us little by little to a little village nestled on the side of a mountain in New Guinea. Unexpected. This month we’ve been rolling continually northward throughout the Midwest sharing the vision God has placed before us and pointing the saints toward Jesus’ majesty. At each stop we’ve met people who love Jesus and have showed our family tremendous hospitality and the vast generosity of hearts surrendered to Him. Yet, we have met much that was unexpected. Unexpected: we met a man in a Florida church who was living in a tent in the woods, dreaming of helping others and asking about how to become a missionary. Unexpected: a shade tree mechanic in Texas who, while not regularly attending church, took time to visit with us and to fix a problem on our very high-mileage SUV. Unexpected: a joyous evening spent in an upstairs apartment singing and dancing to a familiar song, while cooking dinner with our son who is interning in youth ministry this summer. Unexpected: seeing friends not seen in 23 years, sharing a meal, laughing about old times. Unexpected: 3,500 miles in two weeks (it ain’t over yet). Unexpected: Dodging EF4 tornadoes, floods, rain, and hail for 200 miles while trying to make it to our next overnight–and coming through it all with no damage, no injury, no death or dismemberment! Unexpected: Praying for an October 2014 return to that little village on the mountainside in Papua New Guinea. Praying for the hopes and dreams of an entire people and an almighty God to be brought to fruition in finishing the translation of the Somau Garia New Testament. You, too, can join the adventure of “Lifestyle of the Unexpected” by praying with us day by day and by partnering with us financially. If you are interested in financial partnership, click here. If you’d like to become a prayer partner, please click here to drop us a note. This entry was posted in Ministry News & Opportunities, Shake the Gates Press. Bookmark the permalink.